Hi! My name is Tina, and I am one half of the Savvy Homeschool Moms. At the writing of this, near the end of 2018, I am nearly 48 years old and live in the Central Valley, California with my husband, Adam, and my kids, Maeven (nearly age 18) and Tyren (TEERen, age 13). I am a very PASSIONATE person. I just don’t do things small. I’m a talker. BIG TIME. I tend to be an idea person…regularly coming up with new ideas for cool new things to do, then running with them until I lose interest and come up with new ideas! I have never been officially diagnosed, but it’s pretty dang clear that I’m A.D.D. My list of qualifying symptoms is long, but the most obvious is that I am excruciatingly distractable…squirrels are EVERYWHERE in my life! Also, schedules and routines just have never worked well for me…and this is a major hurdle to my homeschooling my children that I am constantly wrestling with. I have been homeschooling my children since the beginning, and at this point in time, don’t ever plan to put them in public or private school. 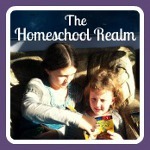 I talk about the specifics on why I decided to homeschool in our first podcast episode. We have homeschooled using both the private affidavit and the homeschool charter option in California…at the writing of this, I have one child on each. Long story. I would consider myself an eclectic homeschooler…I don’t really fit any particular label. 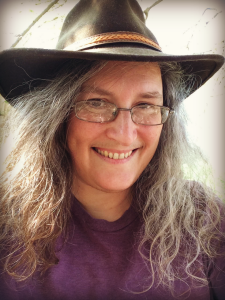 We sort of lean in the unschool direction, in that I do like to follow my kids’ interests…but I don’t feel that I could really use that label because I do still have an idea in my head of things I do want them to learn (my idea is VERY different from the public school standards though!). We just tend to get there in a pretty roundabout way, most of the time. Sometimes we don’t get there at all, LOL!